Flowers–fall colors are nearly free at craft stores now because Christmas has moved in! First you’ll need to separate your flowers. The little plastic stem should pop right off and you can take each layer of petals off. Stack different colors of petals in a way you like them, with each layer being a little smaller than the one under it. Glue layers together with hot glue. 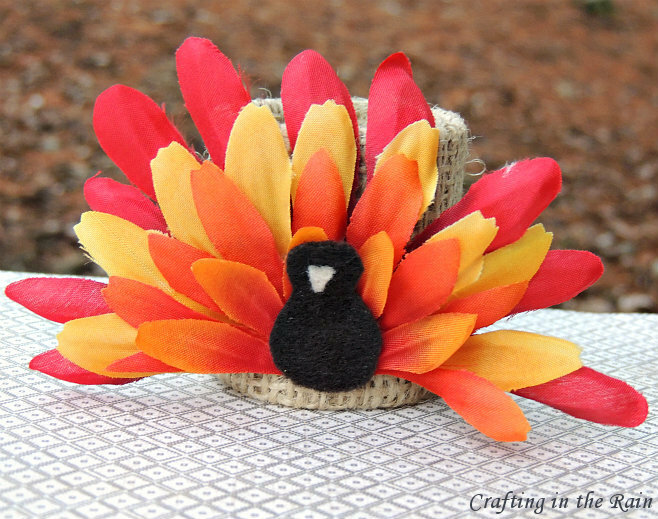 Cut a turkey shape out of brown felt and glue it to the flowers. Add a tiny tan triangle for a beak. I liked how they looked at this point–though if you wanted you could also add little googly eyes and a red wattle (thanks again Google!) they’d be really cute too. I cut a strip of burlap to fit around it and secured it with the hot glue. 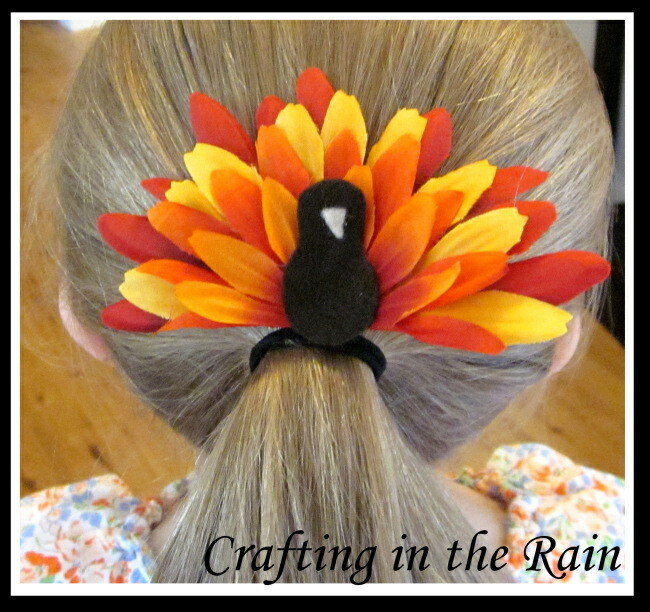 I also decided that these would be cute in my girls’ hair so I attached a couple of them to clips. If you make some of your own, I’d love to see them! 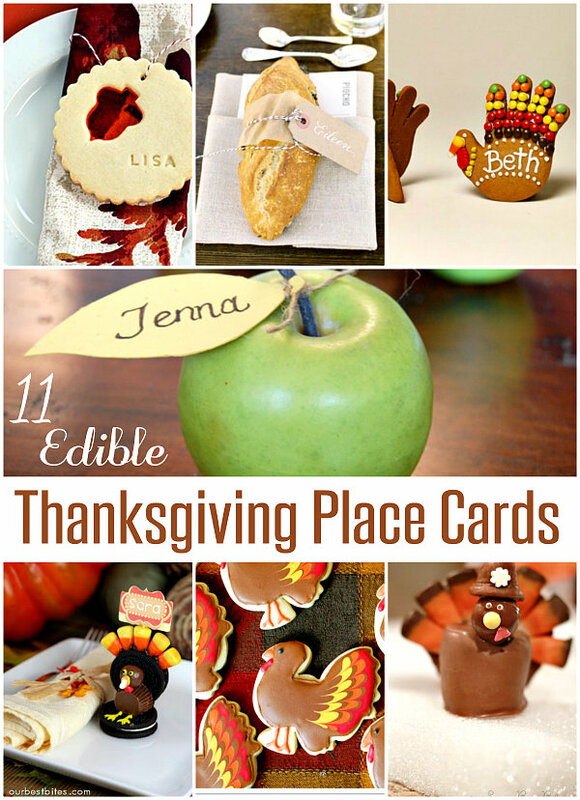 Visit this post for great edible place card ideas. I bought a bag of flower heads at a dollar store. It has a lot of fall colors in it. They save the flowers that fall off the bunches of flowers and sell them for 1$. I had no idea what I was going to do with them but now here is one idea. Thank you!! !